Mouthwatering recipes using our rubs and sauces! This will get the juices going. Try some of these fun and delicious recipes that will make you the mega-grill-master. 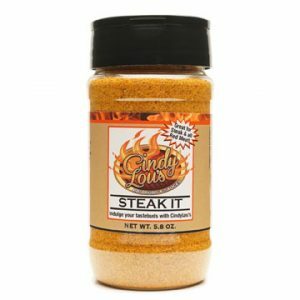 Indulge Your Tastebuds with Cindy Lou’s! Okay, this is where the fun begins. Order lots and order often because your friends and family will demand it when you grill. Rubs and More brings you delicious Rubs & BBQ sauces that will have you coming back for more. Stick with our great tasting rubs or taste one of our specialty sauces.